A few years ago, a forest fire ravaged the area where we live. A friend of mine was helping the firefighters when the ground gave way and his leg fell into a hole in the ground. A hole that turned out to be an ancient tomb, complete with offerings and bones. As this was in the middle of the forest in an area miles from Athens (or any known town), this was surprising, to say the least. That’s the thing about Greece: for better or worse history is never too far away, even in the middle of nowhere. My fantasy series, Pearseus (the first book of which is currently on a 99c sale), is based on the Greek-Persian wars (499–449 BC). 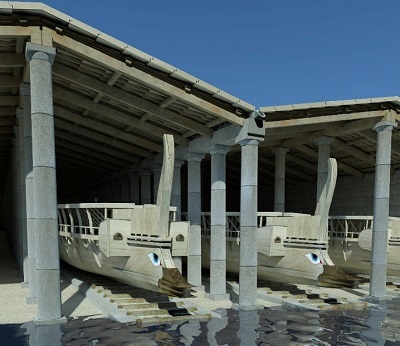 A few days ago, a team of archeologists from Copenhagen and Greece announced the discovery of a naval base built in 493 BC in the port of Piraeus. They believe that it played a key part in Greece’s victory over the Persians. 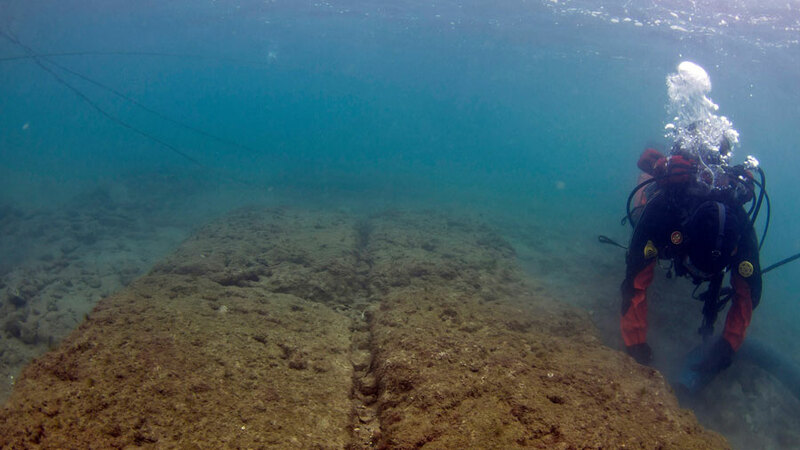 The base was discovered thanks to an elderly fisherman named Mitsakos who used to go fishing on an ancient column that turned out to be part of the ancient port, which is now underwater. This part of the harbor is a maze of anchors, mooring chains, and modern debris. On most days, one can only see 20–50 cm (7-8″) underwater. In 2010, Mitsakos guided two divers to the location. In a relatively short time, they had found an ancient monumental wall and several large foundation blocks in three colonnades. 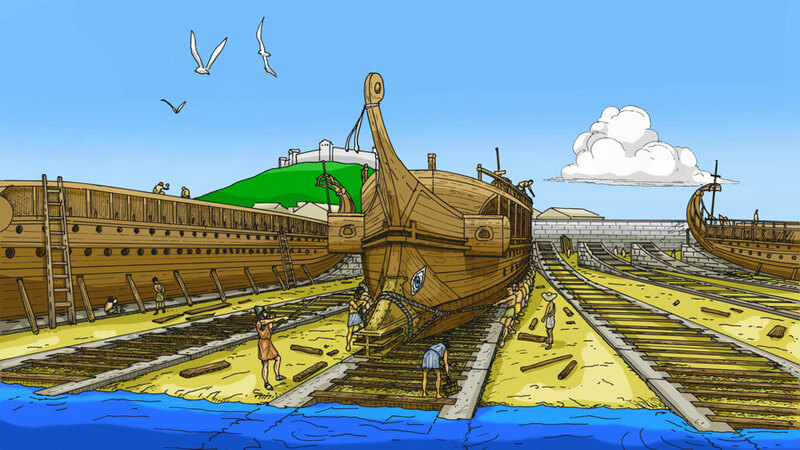 The archeologists have managed to discover 15 shipsheds, distributed along 132 m (130 yards) of coastline, where ships would remain protected from drying out and being eaten by seaworms. Their dimensions, at least 50 m wide and 8 m high (roughly 50×8 yards) each, made the base one of the largest of the ancient world. It is speculated that the port sheltered the ships that fought in the Battle of Salamis (480 BC) – if so, its construction was most likely ordered by Themistocles himself, who drew the defensive plans following the Battle of Marathon. The historical framework for the impressive find began on one of the last days of September 480 BC. Around 80,000 men of the Greek fleet (half of them from Athens) gathered on the beaches of Salamis, the island that lies opposite the Piraeus. 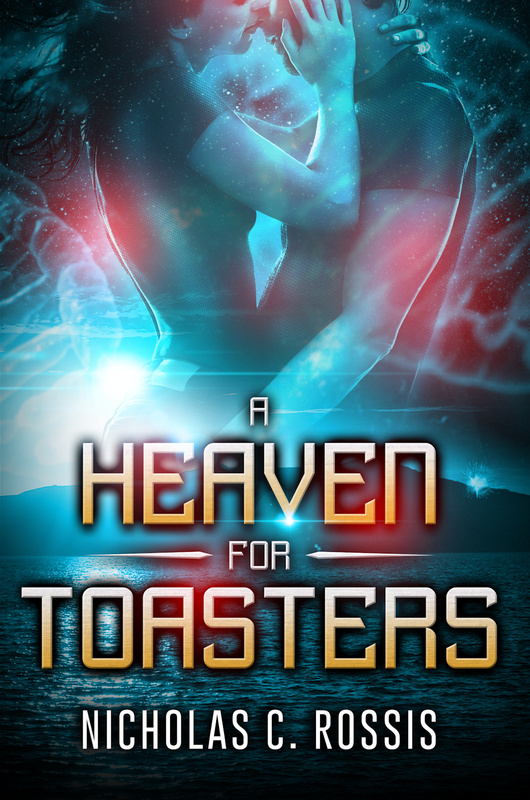 As they boarded their warships, they saw their homes and sanctuaries burning on the other side of the strait, the flames bright in the night sky. The Persian army, which had traveled thousands of miles to conquer Greece, had laid waste the entire territory and city, including the Acropolis. At dawn, Xerxes, king of Persia, sat down on his portable throne and turned his gaze toward the sea, where his enormous fleet, numbering around a thousand warships manned by some 200,000 men, approached the Strait of Salamis. The allied Greeks had just 400 warships. Xerxes was confident in victory, but he underestimated the willpower of men fighting with their backs to the wall. 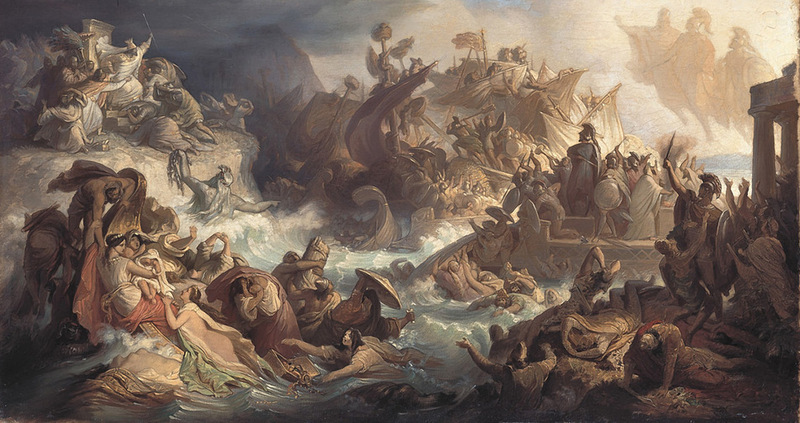 The famous naval battle was pivotal in stopping the Second Persian Invasion led by King Xerxes. The Battle of Salamis, hot on the heels of the Spartan delaying action at the Battle of Thermopylae (popularized by films such as “The 300”), was a decisive victory for the Greek city-states that had allied against the Persian threat, despite the fact that the Persians had them woefully outnumbered. The Greeks capitalized on the inability of the Persians to maneuver within the Straits of Salamis, which eliminated the Persian numerical advantage. The battle marked the turning point in the war against the invading Persians, as Xerxes retreated to Asia. His remaining forces would be routed the following year, spelling an end to Persian invasion into the Grecian archipelago and paving the way for Greek culture to flourish and influence modern Western history. The revelation of the naval base’s existence is part of a long-running excavation endeavor known as the Zea Harbour Project. The initiative originally saw Piraeus, another ancient Athenian naval base, excavated from 2001 through 2012. You can find out more on the New Historian and on the Zea Harbour Project website. This post kicks off a multi-part series of posts on ancient and Medieval wonders, to celebrate my 99c Pearseus: Rise of the Prince promo. As Pearseus has been described as “Ancient Greece in space,” it seemed strangely appropriate. It must be so tedious living in Greece, Nicholas. Every time you fall into a pothole, or reprimand your dog for digging in the garden, it’s “oh, for goodness’ sake. Yet another priceless artefact from revered ancient civilisation for me to trip over. What am I supposed to do with THIS?”. I hope it doesn’t get you down. When building our house, my parents brought over some extra topsoil, as the ground was uneven. We found a piece of a marble column in there, goodness knows where from. Had the archaeological service caught wind of it, they would have frozen all construction for years, possibly even decades, until they had excavated enough of our plot to make sure it wasn’t there to begin with. Really interesting. I remember learning about these wars in school when I was 12, and being quite thrilled. Later I read the marvellous historical novels by Mary Renault, which really brought ancient times alive for me. It’s wonderful that you live where all those things happened. Most people here act as if they’re personally responsible for ancient glory, while at the same time praying they don’t find any antiquities when building their house (as the archaeological service can freeze the construction for years). That does happen where I live (Victoria, British Columbia, Canada). I’ve read about property owners who have had to spend money and deal with processes after discovering Native archaeological remains in the process of construction. It’s much easier to be a tourist! And I’ve heard of property owners who bulldoze the finds in the hope that no one stops construction. Funny that; they’re usually the ones that seem proudest to be Greeks. People are strange, for sure! Ha ha. Wouldn’t that be fun. A few years away. We’ll definitely be counting on you for a “must see” list! I think I saw something about this on our History channel. An amazing find and story. Just think what lay hidden a few feet below the surface for all those centuries and what is still out there, waiting to be discovered! I’m amazed that they already ran a documentary about it, as it was very recent. Wow! What a heartening reminder that there is so much history still left to be discovered, so much that is hidden that can yet be learned, that is not lost forever. Thanks for showing the photo of the reconstruction of the shipyard. I absolutely love being able to see how things might have been, so far in the past — and from actual historians and archeologists, not Hollywood dream-makers. Amazing how something like that could remain hidden for so long. Makes me wonder what else is waiting to be discovered. Also, it sounds like Xerxes really didn’t do well in Greece. Guess every conquering ruler has that horrible campaign. That’s one way to hold a grudge. Wonder if the slaves got a secret laugh out of that. A great find indeed. I liked the illustrations of what it might have looked like. You are lucky to have such history on your ‘doorstep’, Nicholas. We do have a lot of ‘old stuff’, Nicholas!